While some people find themselves nervous before going to the dentist, these days there is really nothing to worry about. Advancements in dentistry, medical technology, etc., have made going to the dentist a much more comfortable and enjoyable experience. However, dental anxiety is a real thing and nothing to be ashamed of. The most important thing to remember is to never avoid going to the dentist because of this dental anxiety. Avoiding going to your Las Colinas Dentist will only result in the worsening of your dental problems and therefore result in more extensive procedures that may need to take place. Make sure you are regularly visiting your dentist at least every 6 months for a checkup and cleaning. 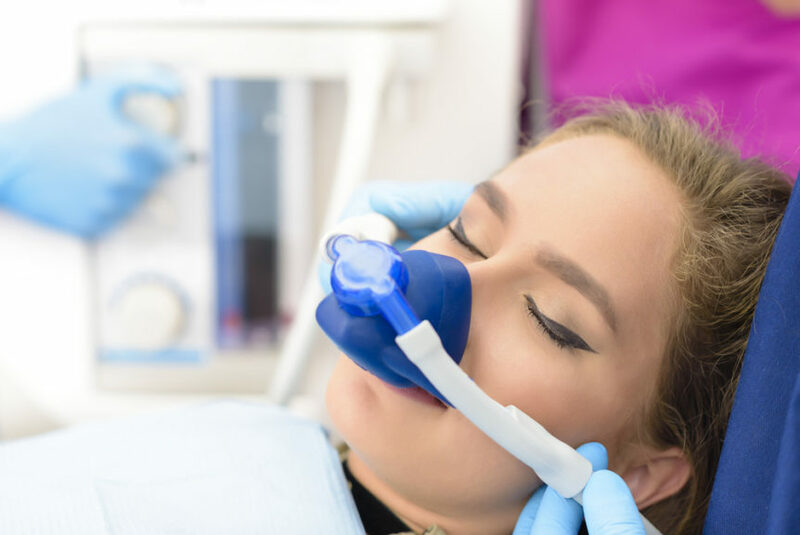 If you suffer from dental anxiety, while doing your research and coming prepared is important, you may be considering sedation dentistry for your appointment. So, what exactly is sedation dentistry? It is a form of dentistry in which the dentist uses medication to “sedate” or relax the patient during certain dental procedures. Most of the time, when undergoing sedation dentistry, you will still be awake, but merely relaxed via sedation medication. Fortunately, there are not major risks involved with most levels of sedation dentistry. However, general anesthesia does always have its risks, but is completely safe when you are in the hands of a good dentist in Las Colinas. Certain people are more at risk when it comes to sedation dentistry and that includes those who are obese or who suffer from obstructive sleep apnea. People with those conditions should first consult with their doctor before going under sedation for dental procedures. Sedation dentistry is a great way for those who suffer from dental anxiety to find relief and comfort for their dental procedures. If you have more questions about whether or not sedation dentistry is right for you, here at Cosmetic and Family Density we would be happy to answer your questions. Contact our trusted dentist office in Las Colinas today for an appointment.